Kingdom Brass has won the Scottish Challenge Shield contest. Rounding off a fantastic contesting year, Kingdom Brass has won the Scottish Challenge Shield in convincing style, adding a fourth title to an already amazing tally for the year. Conducted by Paul Drury, the band performed 'Fraternity', by French composer Thierry Deleruyelle, in the first half of the contest draw and led the contest by an astonishing seven points before the final band of the 19 competitors, Newmilns & Galston, produced a quality performance to end up as runner up on the day. The band's Principal Cornet, Dave Prentice, won the prize for 'best instrumentalist' as he negotiated the fiendish cornet solos with style, in a performance which for such a difficult piece of music was delivered in an almost flawless fashion. The adjudicators for the competition, Kevin Wadsworth and Jim Davies, remarked that the winning band was 'clearly ahead' of the field, and well worth of such a large winning margin. 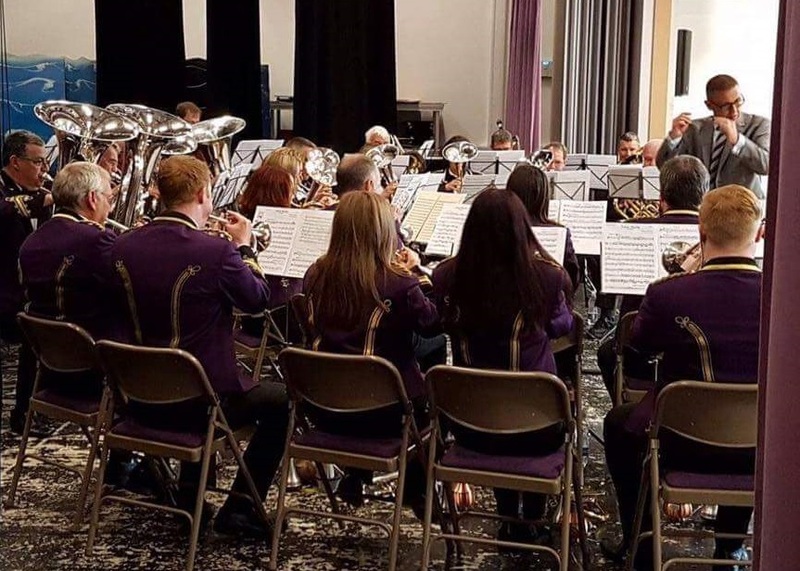 Kingdom Brass won their third title of the year at the weekend, with an emphatic win at the Fife Charities Band Association's 73rd Annual Open Contest. Performing 'Fraternity', by French composer Thierry Deleruyelle, Kingdom led the field of 15 bands at the end of the day in a performance described by the judges as 'clear winners'. Kingdom also won the award for best 1st section band, best march, best cornet (Dave Prentice), best horn (flugel horn Sarah Findlay), best euphonium (Neil Philip), best basses and best percussion. The band's conductor, Paul Drury, also won the award for best conductor. Runner up in the event was Unison Kinneil (Chris Shanks), with Newmilns and Galston (Alan Cameron) just behind. The Fife Charities Association awards also went to Kingdom Brass (Best 'A' Band) and Dysart Colliery (Best 'B' Band). Kingdom Brass wins the Northern Counties Championships. Conducted by Paul Drury, Kingdom Brass retained the Northern Counties title, adding to the band's recent victory at the Fife Brass Band Festival contest. The band opened with 'Birdland', featuring Gavin Spowart on trumpet. Alex Philip won the 'best soloist' prize with a fantastic performance of 'Autumn Leaves' before the band changed style with the march 'Jubilee' then the haunting Welsh folk song 'Lisa Lan' before completing the programme with the music from 'Crouching Tiger, Hidden Dragon'. As well as 1st place and best soloist, Kingdom also won the prize for best 1st section band, best conductor, best non-Northern Counties band, best soprano (Dave Prentice) and best percussion. 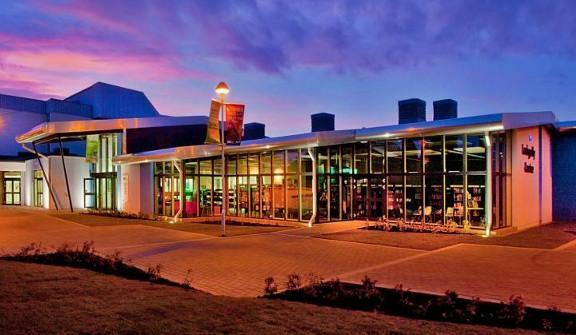 Kingdom Brass are celebrating after securing new rehearsal facilities through government scheme. For the past 18 months, the Kingdom Brass committee have been working on a Community Asset Transfer (CAT) application alongside Fife Council. Introduced by the Government in 2015, the CAT legislation allows community groups to apply for ownership of surplus council buildings. Band Secretary John Todd explained the process - "When we moved out of our old rehearsal base in the Haldane Hall about 10 years ago and moved into the Co-op Hall on the other side of Cowdenbeath, we were advised by the council that we had secure premises, and could eventually apply for a long term lease on the building. On the strength of that promise we launched the Kingdom Brass Youth Initiative and Percussion Academy, something we couldn't do in the old Haldane Hall because it lacked the basic facilities needed. We built up a superb youth setup that eventually led to the formation of our 'B' Band. We started work on the lease for the Co-op Hall, and all appeared to be progressing well until we received the shock news that the offer of the lease was withdrawn suddenly, and the council now had other plans for the building." "Following that news, and with uncertainty around our rehearsal base, we had no option but to scale back our youth development programme, basically put it all on hold until we could get a permanent home secured. 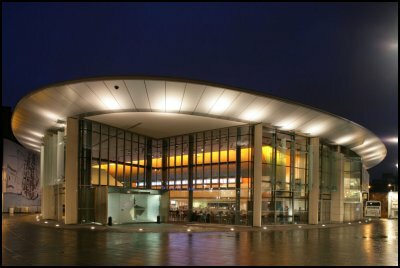 We worked with Fife Council for a while looking at various buildings, but none met our requirements. 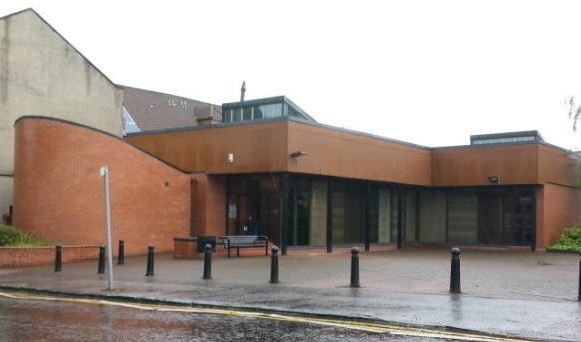 We had some discussions with local politicians and councillors, and that's when the CAT process was recommended to us, and we became aware that the library building in Kelty was now vacant as the library had moved to the new Community Centre in Kelty." "With the CAT legislation being so new, I think we are one of the first community groups in the country to go down this route. It's taken us 18 months to get the application completed and through the various council committees, so to finally have it all approved is great news for the band. We have an £80,000 plan in place to fully refurbish the building which will give us state of the art facilities, we’re now able to relaunch our Youth Initiative and we have a new ‘Patrons scheme’ in the pipeline, all ready for our 20th anniversary next year." Kingdom Brass wins the Fife Festival of Brass. 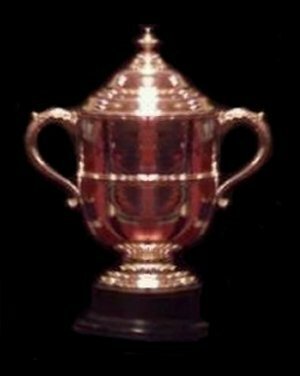 Conducted by Paul Drury, Kingdom won the FBBF contest (formerly the Carnegie Invitation Contest) by 3 points from runner up Newmilns and Galston. The theme for the competition was 'music from the world wars', with each band required to play one piece written during or inspired by the first or second world war. Kingdom decided to expand on that slightly, and play music from 'pre war to cold war', featuring a piece from the 1930's, 40's, 50's and 60's. The band opened with Andy Duncan's stunning arrangement of music from the 1962 film 'Taras Bulba' before featuring the band's soloist, Alex Philip, with Adrian Drover's arrangement of 'My Funny Valentine' from the 1937 film 'Babes in Arms'. Kingdom's programme then continued with the 1959 Dave Brubeck piece 'Blue Rondo a la Turk' before rounding the programme off with Matt Hall's arrangement of 'Nightingale Dances', based of course on the wartime classic 'A Nightingale Sang in Berkeley Square'.